Using 100% natural Henna, which is totally AMMONIA, LEAD and PEROXIDE Free, we can produce a more voluptuous brow effect, safely colouring the skin and hairs with longer lasting results. A patch test is required at least 48 hours before treatment. Includes brow mapping, custom blend henna tint application, followed by my signature express brow shape using a combination of wax and thread. Henna brows typically last between 2-4 weeks on the skin and up to 6 weeks on the hair. However, results are dependent on your skin type and aftercare. If you have a dryer complexion, henna brows will tend to last a bit longer than they would on someone with an oily complexion. This can further be determined by individual lifestyle choices. 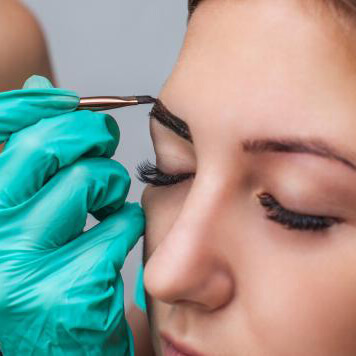 However, with the results lasting nearly twice as long than a conventional brow ‘tint’ and from 7 different shades to suit from (which can be custom blended to give you a perfect match or create an ombré brow effect) henna brows will temporarily tint your eyebrows as well as stain the skin beneath the hair in a painless and natural way. The purpose of this is to cast a shadow or create an illusion of depth and fullness in any sparse areas, visually making them look better shaped every morning. A perfect solution if you are on a regrowth programme allowing time to let sparse hairs to grow in with no need for pencils or powders to fill them in daily. 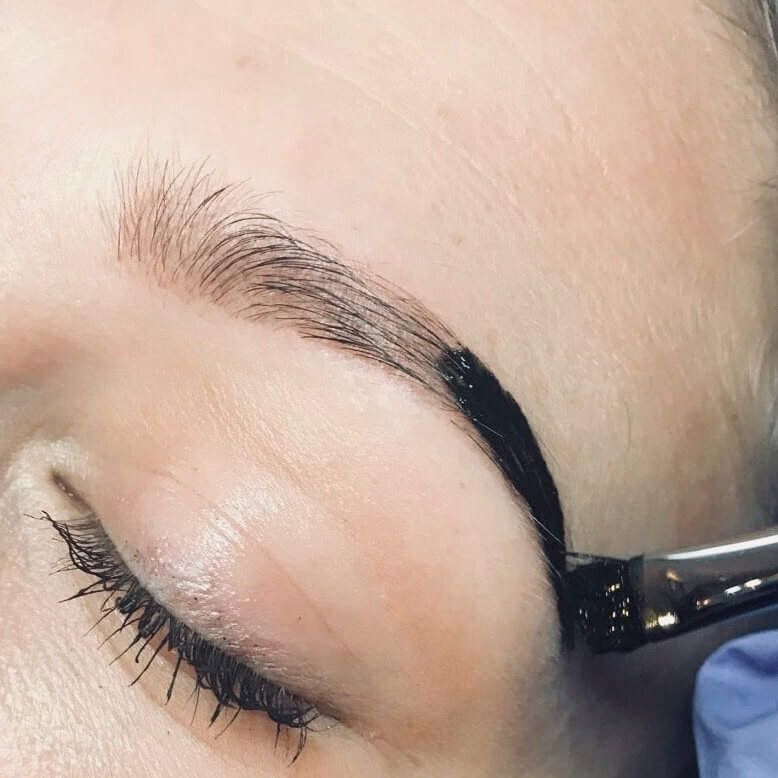 It’s also a great way to trial a shape before you commit to semi-permanent treatment such as Microblading. Henna is a natural dye made from the shrub ‘Lawsinia Inermis’ which grows in a hot dry climate. The leaves of the shrub are dried and ground into powder, forming henna.